Results from Eastbourne Magistrates’ Court, sitting at Hastings, for June 21 - June 27. Oliver Titus, 27, of Abergavenny Road, Lewes, was found guilty of failing to provide a specimen of blood for analysis when required to do so by police under the Road Traffic Act 1988. The offence took place at Eastbourne on November 18 last year. He pleaded guilty to being in possession of a quantity of cocaine on the same date. The court made a community order with a requirement of 140 hours of unpaid work and banned him from driving for 15 months. He was ordered to pay £300 in prosecution costs. Samuel Goodwin, 24, of no fixed address, pleaded guilty to assaulting a woman by beating her. The offence took place at Eastbourne on February 27. He also pleaded guilty to causing £380 damage to a TV, belonging to the victim, on the same date. 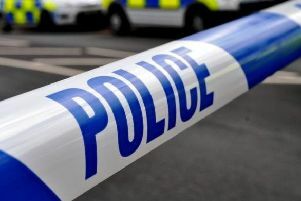 He pleaded guilty to two further charges of assaulting a woman by beating her, at Haywards Heath on June 10 and June 18. He was remanded in custody until July 16 for pre-sentence reports to be prepared. Alfie Pitt, 20, of Dutchells Way, Eastbourne, pleaded guilty to harassment of a woman by using threatening behaviour and going to her home. The offence took place at Eastbourne on May 9. He also admitted being in breach of a court supervision order, made following release from a period in prison. He was sentenced to ten weeks in prison. Magistrates said the reason for the custodial sentence was that it involved three incidents on the same day which involved threats of violence, committed in a public place in front of a child. A fifteen year old from Eastbourne, who cannot be named for legal reasons, pleaded guilty to assaulting a police officer and to causing £100 damage to a pair of glasses belonging to the police officer. The court made a Youth Rehabilitation Order and ordered him to pay £300 compensation. Dorin Dragan, 24, of Cheery Way, Hatfield, Hertfordshire, pleaded guilty to driving a Toyota Avensis on the A27 at Berwick, on June 10, while over the drink drive limit. He gave a breath alcohol reading of 50 microgrammes. The legal limit is 35 microgrammes. He was fined £120 and banned from driving for 14 months. Michael Dyer, 67, of Pevensey Road, Polegate, pleaded guilty to being in breach of a restraining order by placing a sign on his fence directed at his neighbours. The offence took place on June 5. He also pleaded guilty to a further breach of a restraining order by attending a woman’s workplace, and guilty to a charge of assault, on the same date. He was sentenced to 12 weeks in prison, suspended for one year and ordered to pay £250 in compensation. Magistrates said the reason for the sentence was due to previous convictions and the fact that he had ignored court orders. Dylan Kelly, 20, of Chyngton Close, Eastbourne, pleaded guilty to using threatening behaviour. The offence took place at Eastbourne on June 9. He was fined £250. Sophie Pavlou, 30, of Lascelles Close, Eastbourne, pleaded guilty to two charges of assault by beating. The offences took place at Seaside Road, Eastbourne on June 7. She also indicated a plea of guilty to attempting to steal two cans of Malibu, two packets of red Leicester cheese and two bottles of wine, from Tesco Metro, on the same date. The court made a community order with a requirement of 40 hours of unpaid work and ordered her to pay a total of £150 in compensation.